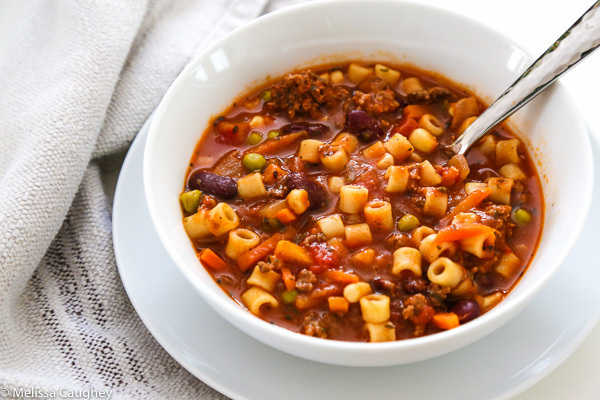 I absolutely love pasta fagioli soup. My family does too and after the blizzard that we all went through a few days ago, it was the number one request for dinner. 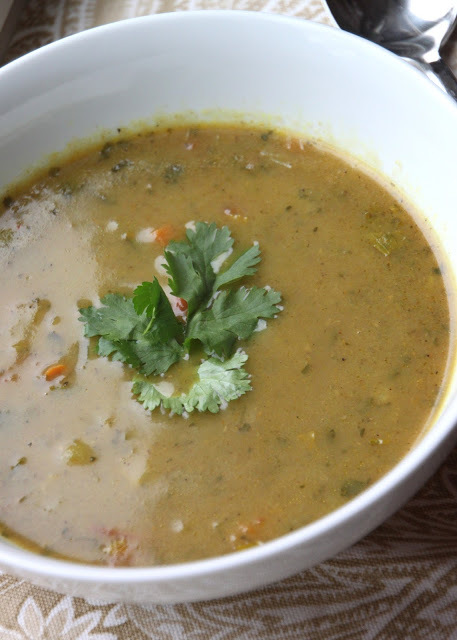 This soup is super yummy and comes together for a hearty, healthy and filling family meal in around 30 minutes. 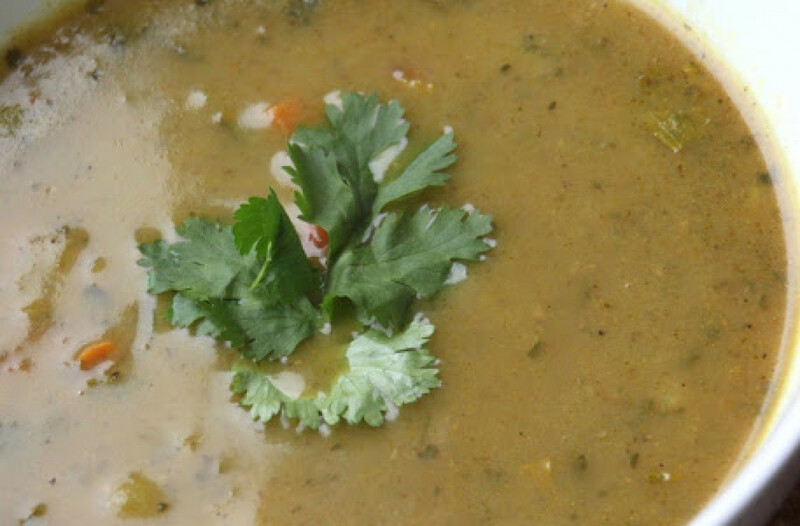 There is nothing like warming up to a bowl of delicious homemade soup after shoveling heavy wet fallen snow. I think you will enjoy this one too. Serve it up with a nice crusty baguette. I promise, you might find yourself licking the bowl after!